A pressure washer or power washer is a high-pressure mechanical sprayer used to remove loose paint, mold, grime, dust, mud and dirt from surfaces and objects such as buildings, vehicles and concrete surfaces. We offer a comprehensive pressure washing service to help clean most hard surfaces. Our variable high pressure washers are mounted in our vehicles and have cold, hot and steam wash options for great results. With up to 220 bar of pressure we can effectively clean most hard surfaces and our vehicles hold their own water tanks for complete portability. 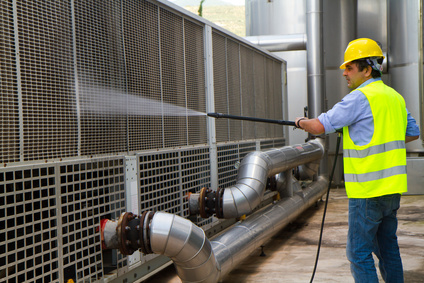 All our team have undergone industry standard training for high pressure jetting and have all the necessary protective equipment to carry out their work in line with health and safety.